If your computer isn't connected to the internet or both Online and Website Upgrade have failed for some reason, you should use Manual Upgrade. 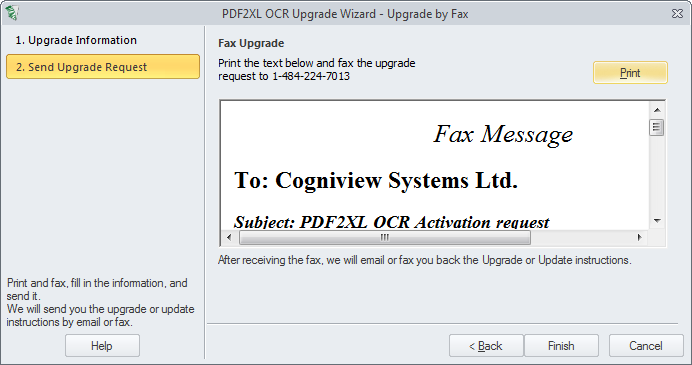 In this method, PDF2XL CLI provides you a text to email, or a page to fax, containing all details necessary for the upgrade. 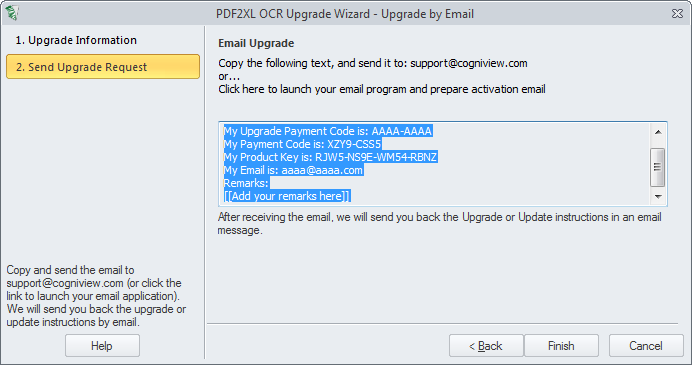 Once our support team receives your email or fax, they will send you back everything you need in order to upgrade your license and application.